This is the artistic and intellectual inspiration that has burrowed its way into the mind of GBH this month. 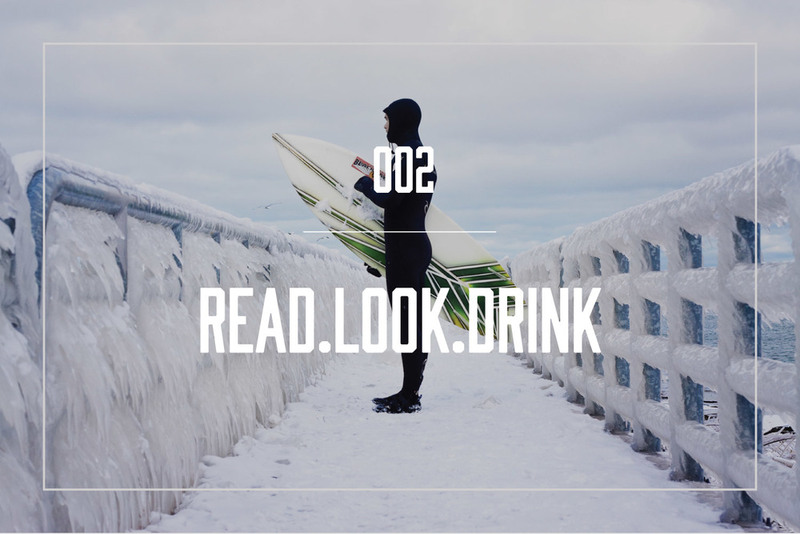 Great reads, stunning images, and beers that chart new territory. Drinking alone just got better. Photo by Mike Killion, part of his Great Lakes project, used by permission. // "I'm firing the guitar player, and I'm going to do all his guitar parts over.' I said, 'You can't do that!' But he did. In one take." Rolling Stone tries to capture what a Weezer comeback is all about. // "This is a true testament to the continued collaborative spirit and friendly nature of the Craft Beer Industry." Firestone Walker prepares to brew interim batches of Pliny the Elder for Russian River while they install their new brewhouse. // "When I get way out the back [of the wave] and am looking in at those mountains, I feel my heart expand from all the beauty." Surfers seem to have life a little more figured out than the rest of us. // "Pump the brakes, kids, and get focused: overnight success is a 20-year journey." Chris Hastings, founder of Hot and Hot Fish Club in Birmingham, Alabama talks real talk for chefs. // The first wildlife photos ever published for National Geographic are haunting and beautiful, and they sparked an entirely new generation of "camera hunters." // Mike Killion and his crew take to the Great Lakes for their surfing, even in the still-liquid winters of Chicago. // Re-introducing wildlife doesn't just save a species — it literally reshapes the earth. How wolves changed a river [video]. // The GoPro generation has a real knack for terrifying all of us. Arbor Skateboards takes downhill boarding to its logical extreme. // Yazoo Brewing in Nashville is about to take their sour program to the next level with an offsite faculty for aging. For now, try to trade for on of the 200 bottles of Cherry Deux Rouges, a sour red with tart and sweet cherries aged in a merlot barrel. // Chicago's 5 Rabbit Cerveceria and Cigar City Brewing in Tampa collaborated on an "Export Porter" with caramelized plantains called El Bizarron. Five full days of peeling and stove-top frying have resulted in a hard-working, roasty porter with an earthy, charred-sweet finish. // Lagunitas re-confugures the Dogtown Pale Ale using still-wet Equinox, Amarillo, and Mosaic hops from Yakima, and ships it to markets in less than 24hrs. It's a super-virbrant, fragrant pale ale that takes full advantage of their increasingly deep resources. // If you're still holding on to any Goose Island Bourbon County Stout from 2012, now is the time to drink it. Most of the extra-toasty qualities have fallen off the Intelligentsia La Tortuga, leaving behind some amazing raspberry and fig flavors. It's never been better. // New Holland's Woodsman, a collaboration with Carhartt, is meant to honor American craftsmanship. According to their VP of Brand and Lifestyle (ugh) "New Holland believes in contributing culturally and being good stewards of the craft lifestyle." Despite Carhartt having a track record of moving jobs overseas, and this whole idea being a little too schticky for its own good, this oak aged pale ale is very very tasty, and the first beer in awhile from New Holland to really turn our heads.